Looking to organise some spare keys for the SC. Only has 1 and I’m a shocker for misplacing or locking keys in cars. 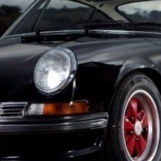 there are a lot of 911 blanks on eBay which I can roll the dice on, just interested if someone has found a local reliable source? Just my experience... I bought a blank off the interweb and just gave my key for the dude to copy onto the blank... works fine. So, don’t be shy of the web, just get a local key cutter to make a good copy. especially cos an old SC key is not electronic or chipped or anything. The man you want is Keys4classics. He has a website and offers everything you need and can decode a key code from photographs of your old key and cut to a formula rather than duplicate your worn out one. I’ve used him a couple times for air cooled 911 keys and highly recommend him. Even managed to decode the locking wheel nut key. Awesome I will work through those great options. thanks guys.